Looking for a gift for that hard-to-please person or someone who has everything? 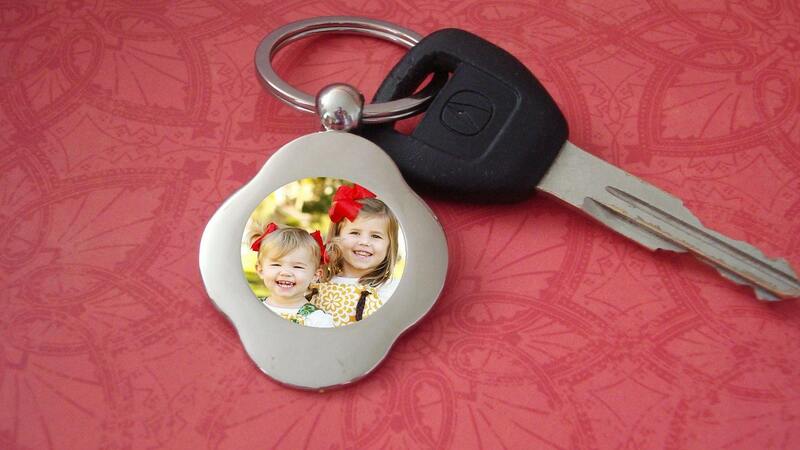 Look no further; give a customizable key chain, personalized with any photo or image you choose. The key chain is a soft floral quadrefoil design with a center circle for your own photo. The finish is nice polished chrome. Your photo or image is protected with a resin coating that is both water and scratch resistant. The circular photo area measures 25mm.